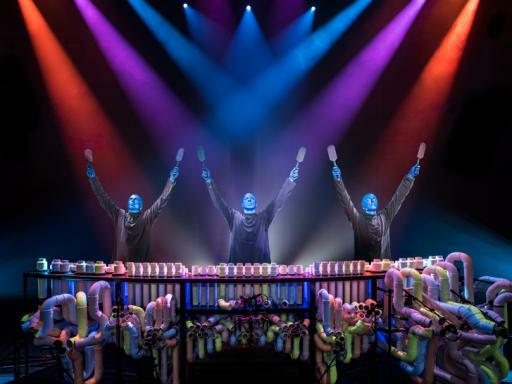 Innovative, captivating and totally unique, let the Blue Man Group wow you in this dynamic New York theatre show. 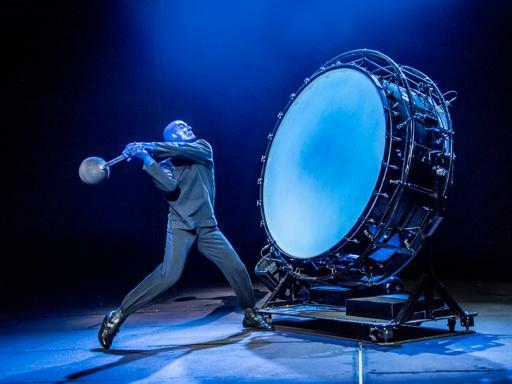 An incredible production that has been enjoyed by over 35 million people worldwide, watch an awe-inspiring display that combines comedy, theatre, technology and live music. 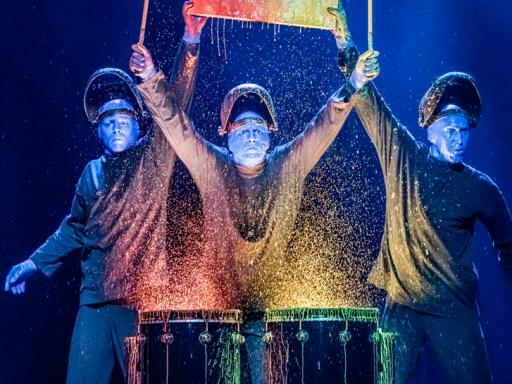 The mesmerising multi-sensory experience requires audience participation, which means you might even get a chance to shine onstage with the eccentric trio that lead the show. 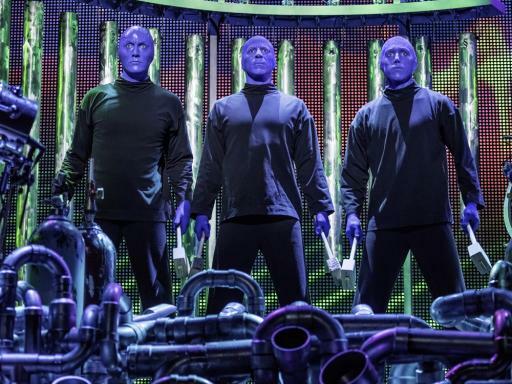 Made up of three bald, blue skinned characters that don’t utter a word, the Blue Man Group commands your attention with their lively music, hilarious comedy and high-tech special effects. 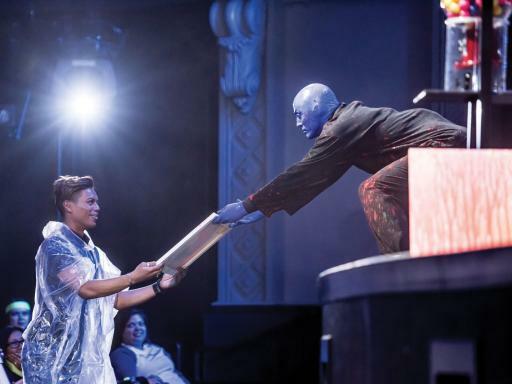 After starting off as street performers in Manhattan’s Lower East Side, it wasn’t long before the Blue Man Group was awarded a well-deserved place on the New York theatre stage. While this off-Broadway show has become a phenomenon around the world, New York City is its true home. 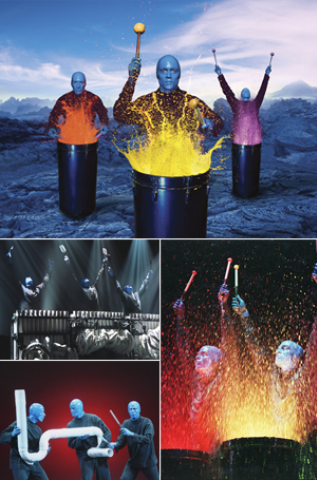 Step outside of the Big Apple and immerse yourself into the extraordinary world of the Blue Man Group. As the adrenaline inducing music kicks in, it places you in the middle of a spontaneous rock concert where every thunderous beat of the drum catapults neon paint across the stage. A show packed with constant surprises; get ready for the experience of a lifetime where anything could happen. Food flies in every direction and a shower of streamers covers the room as the theatre is vandalised by the mysterious men in blue. The lack of words heightens your senses, making you more aware of your unusual surroundings. Admire the stunning artistry, breath-taking creativity, and spectacular technology as a glittering LED curtain hypnotises the audience with its striking display. Constantly evolving, with dazzling new acts always being added to the routine, this fun filled show provides perfect entertainment you could never get bored of, where as little as a facial expression can incur a bout of hysterics. Light-hearted, energetic and action packed, if you’re looking for something different, don’t miss this one-of-a-kind show. 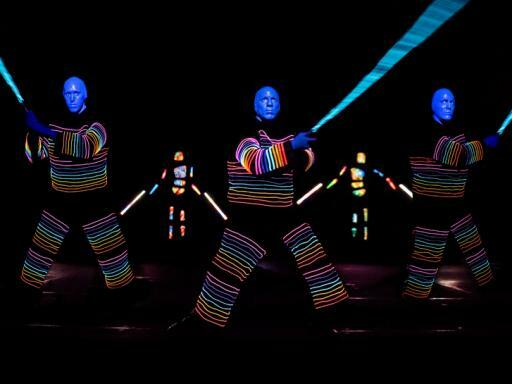 Now in its 25th year, join in the celebrations as the Blue Man Group challenges you to “Dare to Live in Full Colour”. There’s nothing else like it! 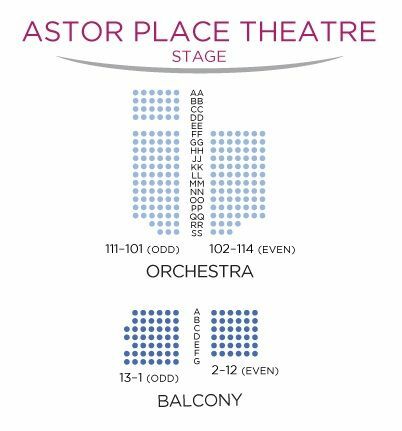 Depending which option is booked, seats are guaranteed in the Orchestra/Front Mezzanine section of the theatre. Seats are allocated by the box office at the time of booking on a best available seat basis. Book early for the best seats! Duration: 1 hour 40 minutes with no interval. 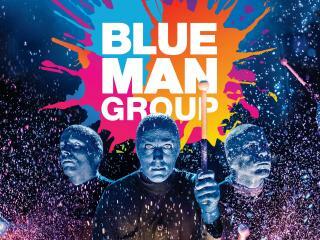 Very straight forward and easy to use device and tickets .Blue man group was excellent . Excellent show. Very clever and funny. Well worth seeing. Show is always a lo of fun, in NYC its a small theatre so much closer to the show. A must see, great shown and audience interaction. 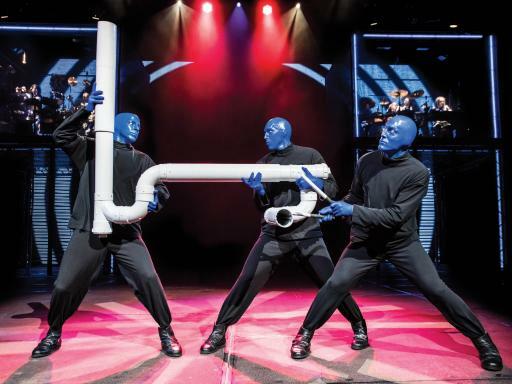 Our Blue Man Group New York tickets are guaranteed in the Orchestra or Front Mezzanine section of the theatre. All New York theatre bookings will be seated together. Children under the age of 5 years will not be admitted into the theatre.